Three of modelling's most illuminating faces hit the road for Paris Vogue's 'Esprit Libre' with photographer Mario Sorrenti in red hot pursuit. Models of the moment Julia Bergshoeff and Vanessa Moody are joined by new recruit Frederikke Sofie styled by Jane How in a bohemian mish-mash of leopard print coats and mini dresses, patchwork pullovers and jersey dresses, and retro polos and skivvies. Dutch supernova Bergshoeff is fast becoming a Paris Vogue favourite having scored multiple editorial appearances in the fashion bible's February, April, May, July, and August 2015 issues. Mississippi native Moody has experienced a meteoric rise since being discovered at an open call, making her runway debut opening exclusively for Alexander Wang's Fall/Winter 2014 show before eclipsing the field last season with a staggering 50 show bookings. 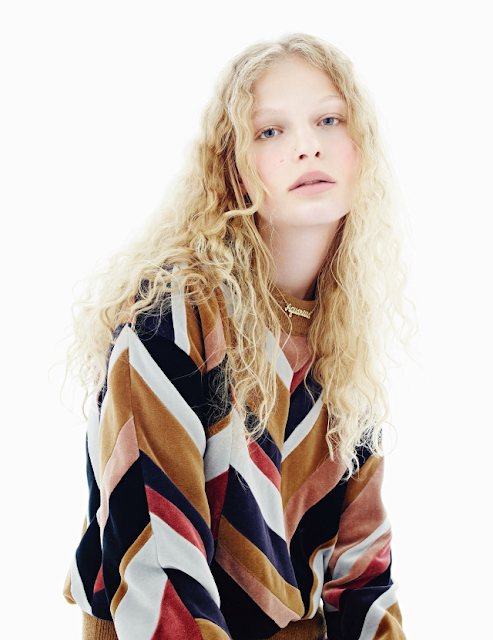 Danish beauty Frederikke may be the new kid on the block but her body of work including; a Céline Fall/Winter 2015 campaign slot and editorial tears for Re-Edition, French Numéro, CR Fashion Book, Interview Germany, L'Officiel Paris, and Tomorrow's Journal have her poised for a major breakthrough at the Spring/Summer 2016 collections. With her unruly mass of blonde curls, multi-layered beauty, and quirky off-beat personality and street style, Frederikke possesses that indefinable star quality that sets her apart from the legions of runway rookies.